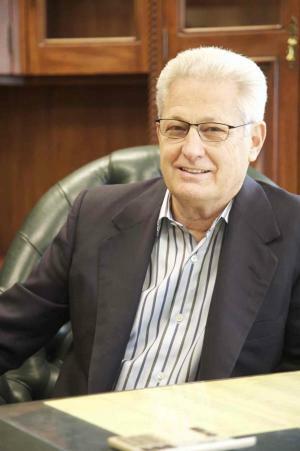 David Green was born on 13th November 1941, in Frankfort, Kansas USA, and is an entrepreneur, businessman as well as a philanthropist, but probably best known as the founder and owner of a chain of retail arts and crafts stores called Hobby Lobby. Green’s career started in 1970. Have you ever wondered how rich David Green is, as of early 2017? According to authoritative sources, it has been estimated that Green’s net worth is as high as $6.2 billion, an amount earned through his successful career as an entrepreneur and businessman. David Green was born into a family of preachers, and he stated that he runs his business on biblical principles as a true Christian. In 1970, he took a $600 loan and founded his first business called Greco Products, selling miniature picture frames from his house’s garage. Two years later, David opened the 300-square-foot store in north-west Oklahoma City, Oklahoma, and named it Hobby Lobby. Already in January 1973, Green needed to move his business to a larger, 1,000 square foot store, while in 1975 he opened his second store in Oklahoma City. The following year, Green opened a store in Tulsa, Oklahoma, and by 1982 he owned seven stores across the state. The growth of the company continued in the coming years, so in 1989 Green owned 15 stores, and by late 1992, he had opened in 50 locations across seven states in the US. At the moment, as of 2017, the chain now has 600 stores in the US with 23,000 employees, with its headquarters remaining in Oklahoma City in a building of 3,400,000-square-feet. Hobby Lobby is opened every day except Sunday, because of David’s Christian beliefs, as he allows his employees and associates to worship, stay with their families, and relax on Sundays, even at the expense of profits. Regarding his personal life, David Green is married to Barbara; they have three children together, and currently reside in south-west Oklahoma City. David is a well-known philanthropist, as he donated over $500 million to a portfolio of evangelical ministries, including $10.5 million to Liberty University owned by Evangelist Baptist pastor Jerry Falwell, and he also gave $70 million to Oral Roberts University. Green is openly against the Patient Protection and Affordable Care Act as they are supporting the use of the morning-after pill, which he finds to be an abortifacient.